The Infinix HOT 3 is one of the latest Android phones from Infinix Mobility. This Android phone may be the last successor of the Infinix HOT X507 that was released a year ago. The Infinix HOT 3 comes with the latest Android OS - Android 6.0 Marshmallow, 5.5 inches screen, 13 Mega pixel camera and a long lasting battery of 3000mAh. Check out all the features and specs below. 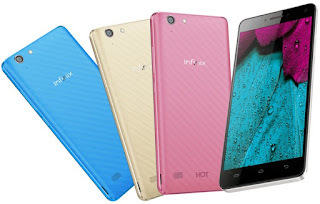 You can buy the Infinix HOT 3 Online on Konga.com OR Jumia.com and Pay on delivery. As at the time of writing this post, it costs 30k, price may vary with time and exchange rate though.